As businesses plan their social media strategies for the coming year, it often helps to seek advice from experts in the industry. SocialMediaExaminer.com recently went to the pros for their projections on what’s in store for social media for 2012. 1. Brands Will Respond in Real Time – The immediate nature of social media requires brands to react and respond at a moment’s notice to avoid potential problems and pursue genuine interaction. This demands real-time responses that use intuitive action and creative thinking to take advantage of current marketing opportunities. 2. An Emphasis on Strategy – While social media calls for a degree of impulsive action based on current happenings, brands must have an overall social media strategy to guide the direction of their marketing and help achieve their business goals. 3. Content Creation Will Take Priority – With so many businesses using social media in 2012, brands will have to develop new and unique content on a continual basis to attract and maintain consumer attention. 4. Quality Will be Key for Content – It’s no longer enough to frequently post any content. Brands will now need to provide high-quality content in an effort to compete for consumers’ attention against the onslaught of available online content. 5. More Outsourced Content – The never-ending hunger for fresh content will drive marketers to develop an efficient content strategy that includes getting original, high-quality content from outside sources. 6. Facebook Will Inspire Distinctive Marketing – Facebook’s explosive popularity with brands has made the social network rather crowded, so businesses will need to get creative with their Facebook marketing and create unique user experiences to stand out from that crowd. 7. An Increase in Branded Facebook Apps– Expect more companies to develop branded Facebook apps that work in conjunction with the social network’s real-time news ticker. This is a very creative way for companies to align themselves with the social powerhouse and stay connected to their Facebook fans. 8. YouTube Will Evolve Into a Leader – YouTube’s recent design changes, functionality upgrades, and major investment in more video content indicate that the site wants to compete with the leading social media platforms and major television networks. These changes are certain to attract an even larger audience, so brands need to start leveraging this growing platform. 9. 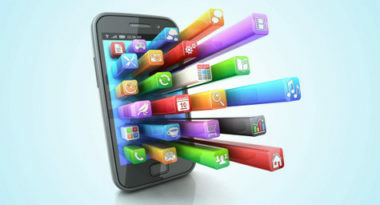 Mobile Will Take Over – In 2012, more and more consumers will use their smartphones and mobile devices to do online tasks they previously did on their computers. This means that marketers must ensure that their online properties are optimized for all kinds of mobile viewing while developing new mobile marketing initiatives that cater to these consumers. 10. Social Media Savvy Will Determine Brand Success – Now that companies have overcome the learning curve for social media, only the brands that display the most communal attitudes, develop the smartest strategies, and maintain constant communication will survive and thrive. Social media will become a marketing must in 2012 as more and more companies embrace the power of these online platforms as a way to strengthen their brand image and stay connected to consumers. To put the latest social networking tools to work for you, contact MDG Advertising.